ICHA is a small shelter of dedicated workers tending to children from poor backgrounds, especially those discarded by their own parents for being born disabled. We are working towards providing the dignity of life to such kids. We believe in fostering disability with patience, love and compassion. ICHA works around Andhra Pradesh to save the lives of discarded children of destitute parents who can ill afford their upbringing. We wish to expand with like minded partners who can partner us to accommodate the demand for such foster care. ICHA seeks a world of hope, tolerance and social justice, where disabled children are saved from exploitation, harassment, cruelty and untimely death. We put abandoned, disabled children from poor communities in the center because we know that they’re alive for a reason and that they can overcome their challenges with our hope. Our children challenge us to the highest level of patience on a daily basis. Their milestones however small and slow help us realize the indomtable human spirit to survive. We are accountable to our donors and partners we humbly serve, transparently sharing our results, stories and lessons. Now, we’re handling 15 kids at Icha, all with their own set of problems. We’re guided by our instincts rather than any formal structure or plan. Just like motherhood. Icha campus located on the banks of Kondakarla Ava, a fresh water lake is the perfect place for healing as well as learning. At Icha everyone is welcome to share their love and time with our small community of very special children. Spread across an acre of land, the Icha campus now has 5 cottages. Built the traditional way, each cottage comfortably accommodates 7 children with a caretaker. The foundation procures fresh farm produce from the surrounding villages. There is a main house, a common kitchen & a guest cottage. Volunteers, work-shop conductors stay at the guest cottage. We have been gifted another acre of land next to our own to build more dorms and perhaps a primary school that will serve the children of poor communities nearby. 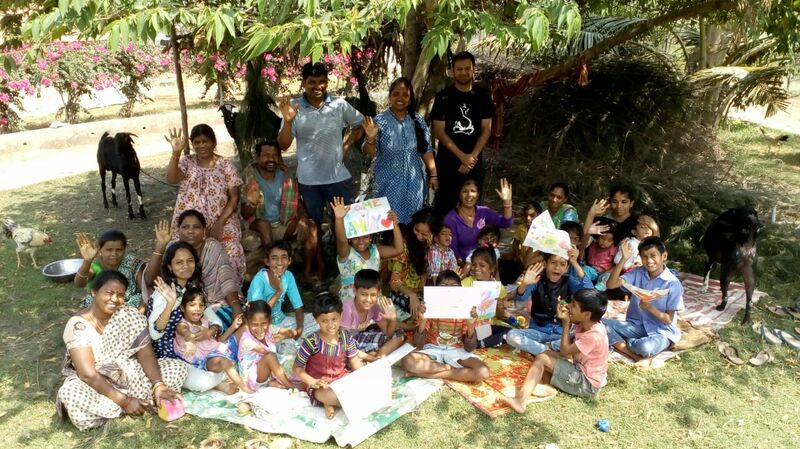 We know that by embracing differences actively, including a variety of differently abled children, we can teach impoverished villagers that compassion can change their world.